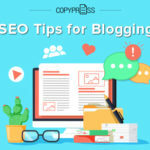 CopyPress excels at scaling content. Why do we have such great success at scaling content? One of the reasons is the style guide we create for every client and every campaign. 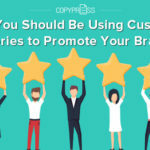 CopyPress will be hosting a free webinar on The Importance of a Style Guide and how to Create One. Join us on Tuesday, November 1, 2016 at 2pm EST to hear why style guides are so important and how we create them. Our webinar is free for anyone to join. Register for webinar on The Importance of a Style Guide and how to Create One to reserve your seat. Creatives and marketing professionals will all benefit from our webinar. Marketing professionals will learn what should be communicated to their writing team or outsourcing partner. 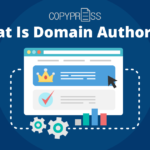 Writing professionals will benefit from The Importance of a Style Guide and how to Create One webinar by learning to create style guides for the campaigns they create content for. 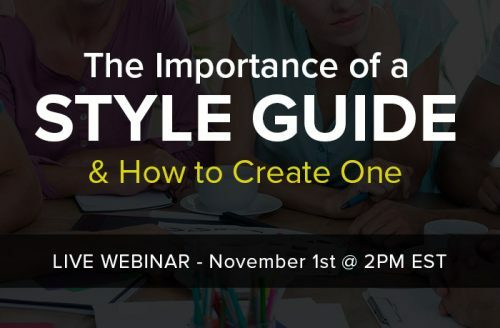 The Importance of a Style Guide and how to Create One webinar will first briefly discuss what is a style guide and continue on to why a style guide is crucial to campaigns. What is included in style guides? Who utilizes the style guides? Why and how do style guides help the creative team? And how should other teams use the style guide. 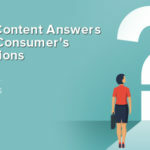 All of these questions will be answered along with insights from CopyPress’ copy team and CEO, Dave Snyder. After we finish the importance section of style guides, we will move into how to create a style guide. The team will take you step by step from first interaction with a client or new campaign, to a questionnaire, creating the style guide, and revising the style guide. We will provide examples of what should be included as well as answer any questions the audience may have. 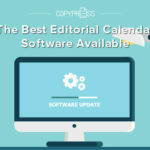 Are you looking for free resources on content marketing? Look no farther. Check out our CopyPress Resources. You’ll find past webinars, white papers, infographics, and case studies. All of the content on our resources page is free! Discover valuable, informative content on a variety of content marketing subjects. We are constantly adding more resources, so keep checking back for new pieces. Stay up to date with CopyPress on our social media channels…we have an Instagram finally! Haven’t covered a topic you’ve been searching for? Let us know on Twitter @CopyPress what topic you would like us to cover.